Rascal Radio 3.0 for only $12. | The Solar Nerd. Rascal Radio 3.0 for only $12. 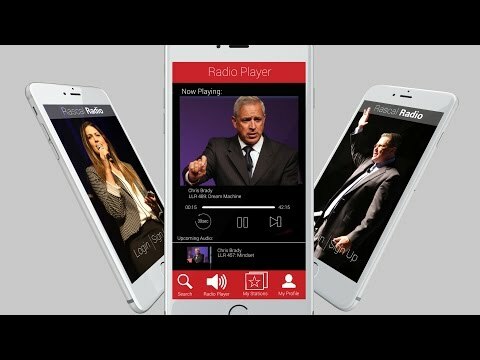 Rascal Radio (version 3.0) is an app you can download on your phone. This is like Pandora, only for success. If you comment on this post I’ll send you a FREE log in so that you can check it out. Teens, Freedom, Case Studies and FAITH. For $12 a month you can learn from people who are debt free, with great marriages. For $12 you can learn millionaire thinking. These are the audios that helped my family pay off over $170,000 in debt since 2014. The wisdom in these audios saved my marriage, really. These audios helped me make Balloon Distractions a more profitable company. The parenting audios helped me understand my daughters better. All of the speakers are proven in their field, they all have fruit on the tree. $12 is really nothing; half a tank of gas. 2 Big Mac meals at McDonald’s! How much is a marriage worth? Or paying off a boatload of debt? … or having a better relationship with your children? Rascal Radio 3.0 was just launched February 1, if you have the old version on your phone hit uninstall and reinstall the 3.0 version off of Google Play or the iPhone store.